When we first started our removals business, we strived to make sure that in different areas we would be better than other removals companies. So, you'll find if you hire Moving Service for your house move we can give you great prices, great employees working for you and also an all-round fantastic service. This includes having removal trucks which are modern, clean and well maintained. 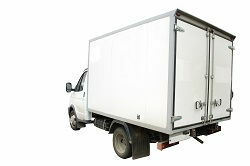 They have GPS and lifts amongst other features and with our comprehensively trained removal men you can be sure your items will be loaded and unloaded with care and consideration. You will also find our customer service caring as well as helpful and informative. If you need extra packaging materials or packing supplies, then we can deliver them at great prices as well as giving you a packing service which is great help in your moving day. Contrary to popular belief, it's not necessary for moving a house to be stressful experience. By hiring our removals firm in Dalston, E8, you'll be taking the first step in having easier and less stressful removal that also costs you less. For more details you can call us now on 020 8746 4402. Situated within the London borough of Hackney, it is a district in East London with the postcode E8. It's an area that is bordered by Downs Park Road to the north, the area of Shoreditch to the south, Kingsland High Street and Kingsland Road to the west and London Fields to the east. Surrounding areas include Stoke Newington, Haggerston, Hackney and Canonbury. It is a busy and lively area with many diverse cultures. An example of this is Ridley Road Market where in addition to everyday fruit and vegetables can be found more exotic food products. It is an area which is generally made up of terraced houses dating back to the 18th and 19th centuries whilst there are also a number of more modern housing estates. 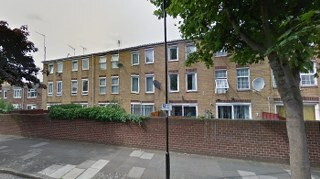 It's said that many places in the area were the inspiration for the Eastenders television soap with Albert Square standing in for its real life counterpart Fassett Square. The area has two London over ground stations, Dalston Kingsland and Dalston Junction. We're sure you'll find, like many of our previous clients, that when you hire our company you can have a better quality removals service at a cheaper price. That is why we give you a free quote straight away when you call us on 020 8746 4402. No matter where you're going, whether it's to or from Dalston, E8 or somewhere else, we can make it a better job done by making sure that essentials are taken into consideration because we have employees who are pleasant to deal with. A house removal in E8 area with us, whether it's from a studio apartment or a detached house, is done professionally and with an expertise that comes with many years of experience. Our reputation is everything to us and it's something we've worked hard to achieve. By carrying out your removals to the very best of our ability we are sure it's a reputation which will only be enhanced. Hire Moving Service as your removals firm and we are sure it will be decision you'll be delighted you made. You'll find yourself settled into your new home in your new area and you can look back on your removal day as a job well done because you immediately choose the right moving company across Dalston. Needed to hire a removals company to move our office from one building in Dalston E8 to another. They did everything from A to Z. Great job.